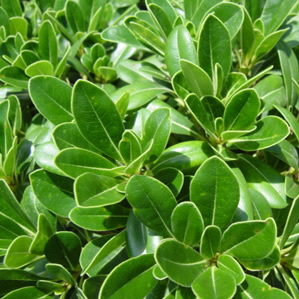 Wheeler’s Dwarf Pittosporum is a dwarf, more compact version of the species, and is great for a border plant. This Pittosporum grows only 3-4′ high and 3′ wide. Wheeler’s Dwarf features the same glossy dark green foliage as the species, but is not as hardy as the original (only to 10°F).